Osaka developed as a waterfront city because of its natural geographical features and has grown into a city with a unique character all of its own. Home of the Osaka Castle, the many historical remains and buildings that represent Osaka leave visitors with a lingering feeling of the depth and beauty of Osaka’s past. History is still alive in a bustling commercial city. 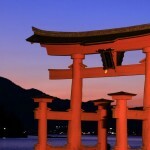 Our Osaka tours will take you to the famous sites, both old and modern, that this water capital has to offer you. 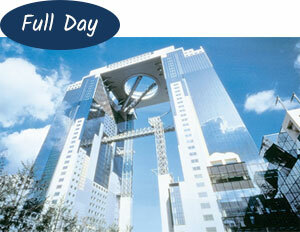 See the famous sightseeing spots of Osaka on this afternoon walking tour. 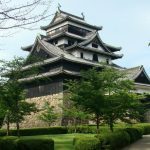 Visit the newly renovated Osaka Castle, the intended capital of Japan, and learn from the exhibits detailing life in old Osaka. Then board the Aqua Liner for an hour-long cruise around Nakanoshima, providing a great view of the city from the water. 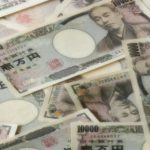 Take a walk through Osaka city and be guided around the city’s famous sights. Visit the Floating Garden Observatory and enjoy the 360 degree panoramic views of the city. 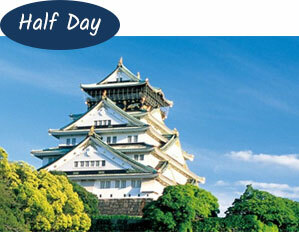 After lunch, discover more history of Osaka and feel the people’s spirit at Osaka Castle. Next, enjoy a river cruise showcasing the seasonal landscape of the city. Mt Koya is one of the most sacred mountains in Japan. This temple complex, founded 1200 years ago, is located in a 900 metre high, lotus-shaped valley in Wakayama. 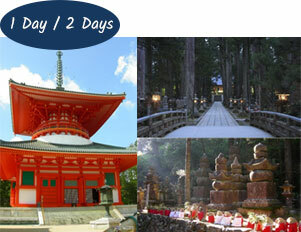 There are 117 temples along the streets of Koyasan and more than half of them have shukubo – temple lodgings.